Susanne will present the closing keynote address at the end of the Gulf of Mexico-themed plenary session - Gulf Ecosystem Restoration: What Does Success Look Like? 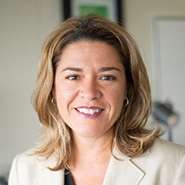 As the Chief Resiliency Officer in a city tackling the challenges of sea level rise head on, Susanne Torriente will talk about the scale and complexity of scaling resilience planning and action at a city, county and regional level; as well as fully integrating resilience thinking into an organization’s corporate culture and strategic budget process. A changing climate is forcing individuals, communities, businesses and governments to adapt. More frequent and more severe storms, prolonged droughts, and rising seas are among the challenges we all must confront as a “new normal” where we are working. This new approach is certainly true for those of us involved in coastal restoration. 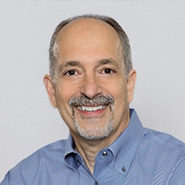 Barry Gold will talk about how the Walton Family Foundation is adapting its strategies, approaches and measures of success in the face of a changing climate, and what this means for the larger issue of the restoration of coastal wetlands across the Gulf of Mexico. Water quality and quantity have broad impacts including ecosystem health, agricultural and fishery resources, and quality of life. Environmental managers face challenges from estimating effectiveness of restoration practices, competing stakeholder requests, and potentially high financial and societal costs. 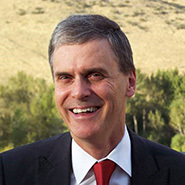 Peter Goodwin will speak about his experiences applying ecohydraulic (linkages between physical processes, management actions, and ecological responses) principles while serving as the Lead Scientist for the California Delta Science Program as well as a former member of the CALFED Independent Science Board. 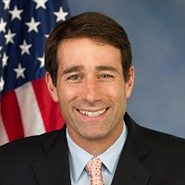 Congressman Garret Graves is a Republican Member of Congress representing Louisiana’s Sixth Congressional District. Graves previously served as Louisiana’s Chairman of the Coastal Protection and Restoration Authority (CPRA) where he managed one of America’s largest civil works programs in history. Under Graves’ tenure, Louisiana constructed more flood protection infrastructure and restored more miles of coastline than at any other period of time in the State’s history. Throughout this conference multiple presentations and plenary talks will have focused on restoring coastal ecosystems under multiple threats including continued growth and development pressures, pollution loading, a warming climate, and increasing rates of sea level rise. 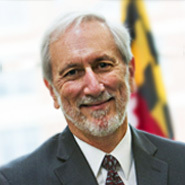 Don Boesch, relying on his vast scientific experience in the Chesapeake Bay and Gulf of Mexico, will summarize the important take-away messages from this conference in the context of federal and state environmental leadership (or lack thereof) while identifying important next steps for the scientific and management communities.